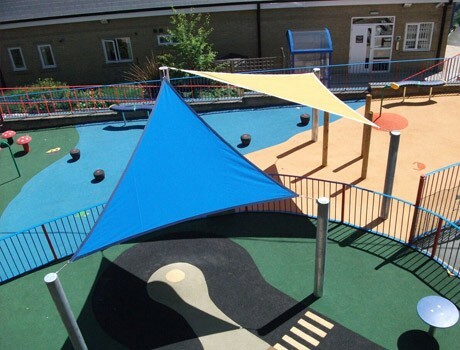 The design brief was to create an environment which promotes imaginative role play encouraging the children to create their own games and activities, letting their imaginations run wild. 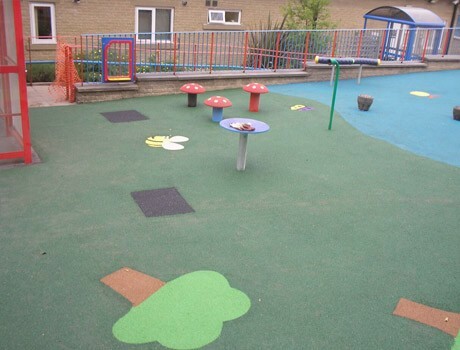 To achieve this, the area was themed using colourful and imaginative Flexiplay™ wetpour safety surfacing which provided incredible visual and interactive play opportunities. 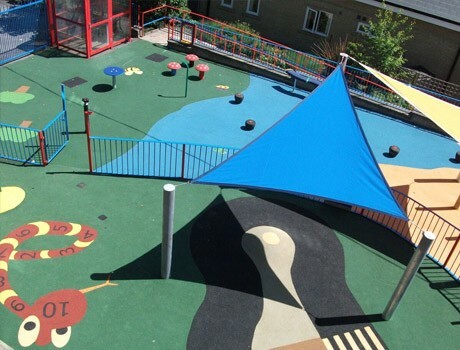 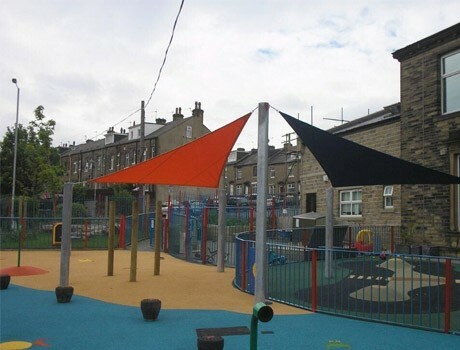 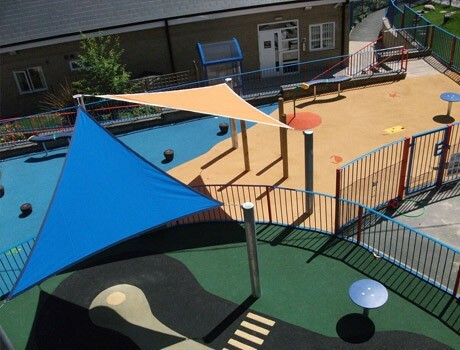 To provide all year play opportunities, Pennine also proposed and installed a number of Shade Sails which are shower proof and provide UV protection to the early years children. 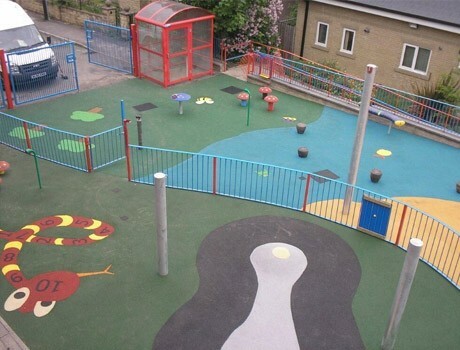 The designs within the Burnett Fields proposal and completed project were then emulated by a number of other Early Years Units and Children’s Centres as the wetpour safety surfacing graphics were particularly popular. 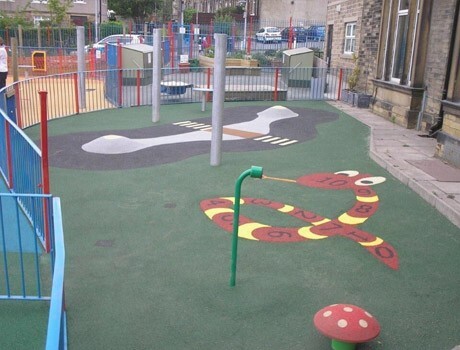 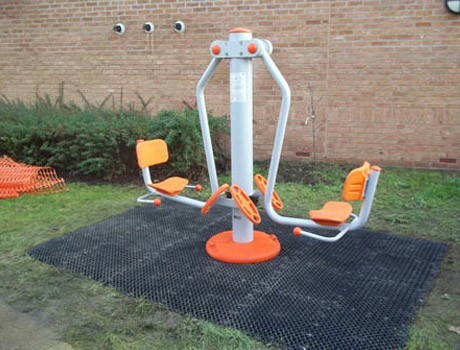 The service that Burnett Fields Family Centre received from Pennine Playgrounds was nothing but positive. 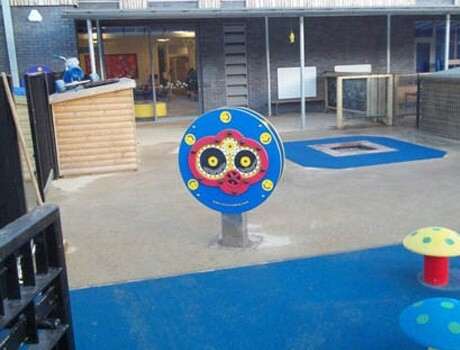 The play area more than met our expectations and has been a great success with children of all ages accessing the service.